A childhood patient of Mark Carpenter's, Darcy is thrilled to now be a part of his dental team. 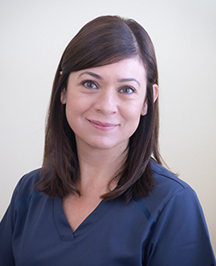 Darcy is a Registered Dental Assistant and having completed the Extended Function program at UCLA, is now a RDA Extended Functions. Outside the office, Darcy is a pastor's wife and in her spare time enjoys baking. "I absolutely love what I do! It's fun to meet new people and help them to feel comfortable in the chair." Inspired by the care she received as a child from her dental assistant, Mandy decided to pursue a career as a dental assistant, completing her RDA program in 1995. In 2007, Mandy attended that RADEFII program at UCLA. 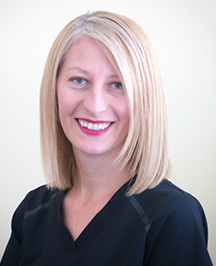 Mandy enjoys taking extra care to place and contour fillings. In her free time, Mandy enjoys spending quality time with her husband, kids, and grandkids. "Working with adults is fun, but it is so rewarding to assist with the children in our practice." Kim started with our office in 2007. Throughout that time, she has always been committed to learning more in the field of dentistry. Kim furthered her education by earning her RADEFII certificate at Loma Linda University, and now holds an important role in our office. The skills she learned through this program now give her the ability to further assist the dentist in expanded functions. Kim says: "It has been my pleasure to be a part of an office that provides quality care for our patients." 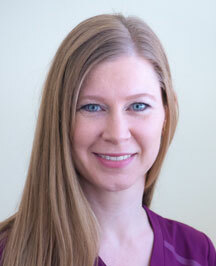 Nicole is currently the Insurance/Financial Coordinator for the practice. 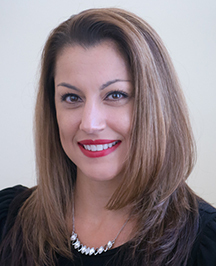 She started working in the dental field in 2000, shortly after graduating from Concorde Career Institute. Nicole enjoys spending time with her family, creating memories with her children. 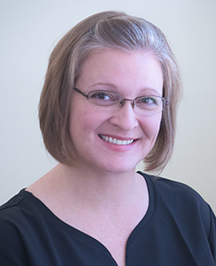 "I appreciate being part of such an awesome team of dental professionals." 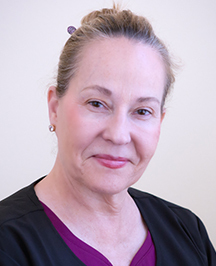 Dyan started her dental career in 1978 at Loma Linda School of Dentistry. Little did she know she would cross paths with a young dental student (Mark Carpenter), who would employ her for over thirty years. 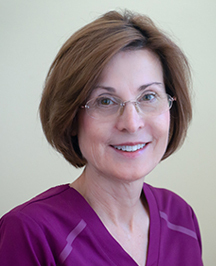 "I have worked as a Registered Dental Assistant for many years, but I truly enjoy being part of this team! I LOVE coming to work each and every day". 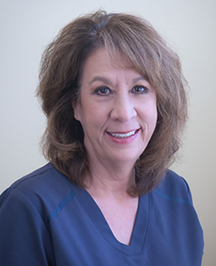 Sandra graduated in 1988 from Chaffey Community College with a Dental Assistant Certification, and began working with the dental practice in 2006. She became an RDA and now is a part of the Administrative Team. During her free time, Sandra enjoys spending time with her family. "I am fluent in Spanish and it is my pleasure to translate whenever necessary." In 1984 I graduated from Loma Linda University School of Dentistry with a bachelor of science in dental hygiene. I worked as a clinical instructor at Loma Linda School of Dentistry from 1987-1993. Clinical experience also includes working in a practice specializing in Periodontics. I started working with Dr. Carpenter in 1995. "This practice is dedicated to patient compassion and clinical excellence. I am much honored to be a part of this team." I started as a dental assistant in 1975 after graduating from high school. While having my teeth cleaned, I was impressed by the time and care the hygienist took teaching me how to care for my teeth. I instantly knew what I wanted to do with my life. It was because of the time I spent with my Dental Hygienist and a conversation with a wise Uncle I decided to enter college and study dental hygiene. I graduated in 1982 and I have enjoyed every minute of my career. "Besides taking my responsibility very seriously helping people have healthy mouths and teeth, I am able to help them achieve good overall health. Over the years I have had many patients touch my life so deeply that I want to give them something back in return. It has been both an exciting and enjoyable career for me." 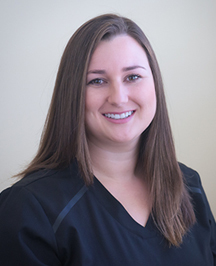 Emily is a Registered Dental Hygienist who joined our practice in 2016. She is also an orofacial myofunctional therapist and breathing educator. Emily is passionate about helping people improve their oral health and breathing pattern to positively impact systemic health and wellbeing.